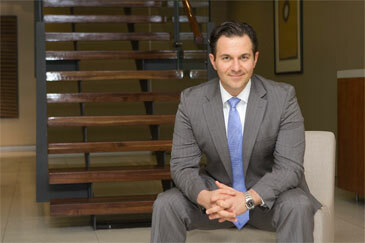 At Alldis & Cox, we hold strong ties with Adrian Bo from McGrath. Adrian has worked in the real estate industry for over 20 years and is part of the original McGrath team where he has remained loyal for the past 15 years. Adrian has invaluable experience in residential and commercial sales, project marketing, property management and auctioneering. Consequently, he has a wealth of real estate knowledge to draw upon. He specialises in the eastern suburbs where he grew up and attended Waverley College. Adrian is very familiar with the local property market which provides him a natural edge in the industry. Adrian is regarded as a real estate expert who has sold and acted as auctioneer for over 1000 apartments and homes. Adrian's 'secret' to success is old fashioned loyalty, hard work, honesty and integrity. He specialises in private treaty and auction sales and is committed to deliver his clients; the highest possible sale price for their property and outstanding customer service in the process. As a Partner, Senior Sales Agent and Auctioneer of McGrath, Adrian thrives on the dynamic environment and has a string of successes to his name. He is recognised as one of Australia's top sales agents and auctioneers, he has received multiple awards within the McGrath Group for customer service and excellent sale results and is a respected real estate speaker, asked to present at the Australian Real Estate Conference (AREC) on four occasions. Adrian holds a real estate and auctioneering licence and also has a post graduate degree from Charles Sturt University in Business Administration. He has an honest, transparent approach to all his dealings and is totally professional and consistent in his follow-up and communication with clients.